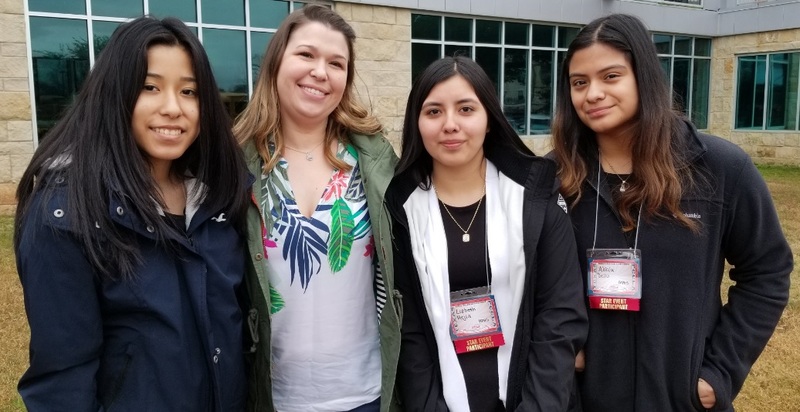 The team of Alicia Bello, Lizbeth Mejia, and Samanta Garcia competed in Life Event Planning. For their project, they planned and organized a baby shower. They came up with a theme, invitations and had to stay within a budget. They placed 5th and will be moving on to State competition. 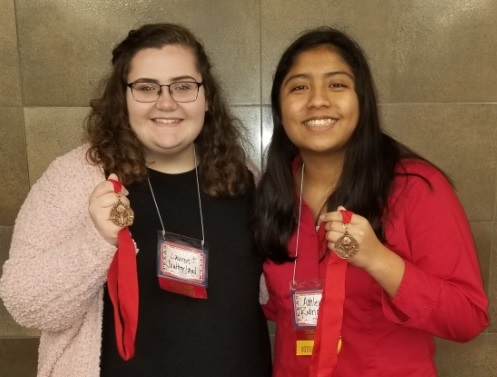 Ashley Rodriguez and Lauren Southerland received bronze medals for their efforts in Education and Training FCS-Assessments. Rodriguez and Southerland will be taking another assessment at the State level in Child Development to extend their professional portfolios. Two MPHS teams competed in the Culinary Arts competition. In groups of three, these students prepared a meal consisting of Caprese salad with tomatoes and toasted baguettes with guacamole topped with sautéed shrimp. For the entrée, the culinary teams prepared sautéed chicken over fettuccini with a basil cream sauce, and for dessert, Rocky Road mousse. The students competed against 30 other teams from all over the region. Although they did not advance to state competition, they received $500.00 scholarships and gained skills and comradery within the culinary community as a result of their efforts. Team members included Matt Braudaway, Hunter Tigert and Angel Reyes, and Andrea Flores, Jaquelin Vazquez, and Tyrese Milton. Mount Pleasant Junior High School 7th and 8th graders competed in the recent UIL East Texas Junior High Academic Meet in Texarkana and brought home multiple medals and ribbons. The 7th graders placed in seven events while the 8th graders placed in 8. Mount Pleasant Junior High earned 5 team awards. The 7th-grade Editorial Writing Team of Sophie Greco, Zoe Zittel, and Amariya Miller placed 1st as a team at the Meet. Seventh grade Science Team of Luke Muskrat, Bri Davis, and Jillian Jetton earned a 3rd place as a team. The 8th grade Social Studies Team of Juan Cigarroa, Javier Vazquez, and Vanessajane Bayna took 1st place as a team. While the 8th grade Editorial Writing Team of Chelsea Maldonado, Vanessajane Bayna, and Osiris Mojica took 1st place as a team. And the 8th-grade Dictionary Skills Team of Merlin Cardona, Amy Vazquez, and Madeline Plascencia earned a 3rd place as a team.